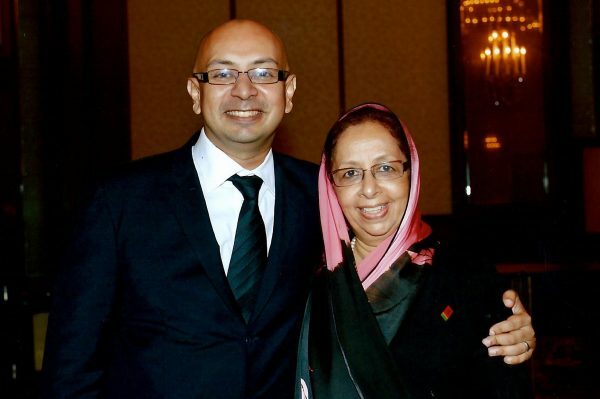 Aman Ahamed Ashraff is the only son of legendary Muslim Congress leader the late Mr. MHM Ashraff and Ms. Ferial Ashraff who was Sri Lanka’s first Muslim woman cabinet minister. 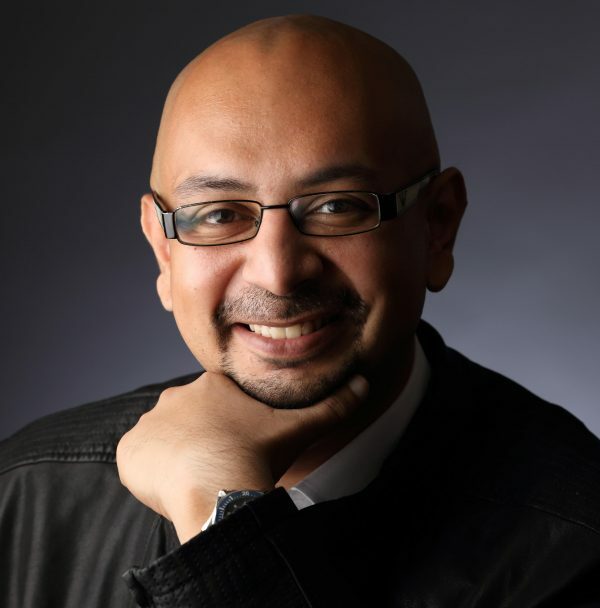 In spite of this family background 36 year old Aman Ashraff who is the executive creative director of Ashraff Associates (pvt) Ltd has kept aloof from politics so far. However there has been in recent times much speculation among Muslim political circles about the possibility of Aman Ashraff entering the sphere of active politics. There are rising expectations within the community particularly in the East that “Thalaiver” (leader)Ashraff’s scion should emulate his father and don the mantle of Muslim leadership soon.In a bid to clarify Mr.Aman Ashraff’s position on this and also to elicit his views on contemporary political issues the “Daily Mirror” obtained this exclusive interview by way of telephone conversations and electronic mail exchanges. The interview ranged on a number of matters relating to Sri Lanka in general and Muslim politics in particular. Mr. Ashraff was frank and forthcoming in his replies and articulated his views on the Sri Lanka Muslim Congress with refreshing candour. Aman spoke of how he and his mother were ejected from the SLMC within a week of his father’s death. He was also critical of the current Muslim Congress leadership without specifically mentioning names. The SLMC co-founder’s son opined that the party had deteriorated to a very great extent and that there was no hope of resurrecting the SLMC. He also said that the current need was not community oriented parties but a pluralistic party voicing the aspirations of all Sri Lankans.Though critical , Aman Ashraff refrained from discussing the personalities concerned or disclosing the knitty-gritty details of the disputes involved. You are the only son of the late Mr. MHM Ashraff and Mrs.Ferial Ashraff. Your parents were political party leaders and former cabinet ministers. Sri Lanka is a land where so many children of Political leaders have taken to politics and become leaders in their own right. Despite your family background you have not engaged openly in politics so far . Why is that? Let me begin by first thanking you and the Daily Mirror, for giving me the opportunity to air my thoughts/views through this discussion. To answer your question, I am of the belief one should not enter the political arena for reasons other than a calling to serve the nation and its people faithfully and truthfully. Gone are the days where the letters M.P stood as a mark of respect and acknowledgement by one’s people as a worthy choice to represent them on the political stage. We now live in an era where the entrance into the ‘game’ is sadly more so in lieu of the lust for power, prestige and most unfortunately for profit as well. I’ve never prescribed to the belief that one requires to be in politics in order to render service to the country or its people. I have been blessed with the many opportunities where I have been able to assist others at times of crisis. I will always continue to do so but the fact that I choose to help others should not be misconstrued as me creating a pathway to enter politics because it is not, nor is the fact that I am giving this interview any indication of an imminent entrance into politics on my part. Although you have not engaged in politics, there is a noticeable rise of expectation among sections of the Muslim people particularly from the Eastern province that you should enter politics. This is quite discernible when one reads the Muslim run websites in Tamil,and facebook accounts. There is even much speculation that you would enter the political fray soon. Are you aware of these expectations and speculation and if so how would you respond? I am aware of these speculations and rumours. I am also aware of the expectations that many in the East have, of me. Unfortunately, what they see in me and what they seem to want from me is one of two things: On one hand there are some who expect a reincarnation of MHM Ashraff. On the other hand, there are others who seek what they incorrectly perceive to be an individual with a complete ignorance of Eastern politics albeit with a political lineage that hails from the Eastern province which they could capitalize on and puppeteer to suit their heart’s content. I am not my father and I won’t even presume to ever arrive anywhere near his levels of political, spiritual and life mastery. I am my own individual. I have my own views and beliefs; many of which may contradict the expectations of the Eastern Muslims and their perceptions of who I am as the son of MHM Ashraff. So I would respond simply by saying that they need to first get to know me as an individual and assess for themselves whether or not I am the most suitable choice for them. Have you been approached by the Sri Lanka Muslim Congress which your father pioneered or any other political party or political group with an invitation to join their folds and engage in politics? My relationship with the Sri Lanka Muslim Congress has sadly entered into a state of ongoing deterioration ever since my father’s untimely passing. Not many are aware that my mother and I were thrown out of the party no less than seven days after my father’s demise. So as far as relationships with the SLMC is concerned, to be frank, there are none. However, in terms of other political parties -I do not wish to name any- I can affirm that some have been in correspondence with me and have on a few occasions invited me to enter into active politics through their auspices. I have respectfully declined each of these invitations on the basis of focusing on my career, which is a stand that I maintain to this very day. Since you have kept away from the political limelight, very little is known about you personally. Can you tell us a little about yourself and what you are doing currently please? If very little is known about me, I’d say then I have been doing my job well (laughs). I am married to my lovely wife Zahara, who herself is a very successful HR professionalin her own right. We are both blessed with an adorable daughter, Sophia. I am a media and advertising professional, having served in Sri Lanka’s marketing & communications industry for the last nineteen years. Although you have not dabbled in politics so far, I am sure you would have been keenly observing political developments concerning the country in general and the Muslim people in particular. Against that backdrop what is your assessment of the Sri Lanka Muslim Congress in the post-Ashraff years? 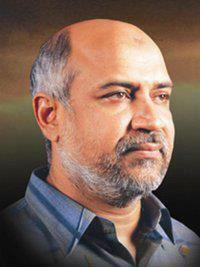 Has the SLMC remained faithful to the ideal and objectives of the late leader Ashraff ? I won’t deny that politics is in my blood and I have always observed political developments in the country very closely as I feel every Sri Lankan should if they have a genuine stake in the best interests of the country. That being said, it is unfortunate that the SLMC has diverted so far from the ideals and objectives of its founder. It was against a backdrop of great discontent, insecurity and fear that the Tamil speaking peoples of Sri Lanka felt oppressed and the Muslims of the East in particular felt that they had neither a voice to air their political grievances nor one which would speak on their behalf at a national level particularly in relation to the planning and implementation of national policy in Sri Lanka. This atmosphere led to a rise of militant insurgency in the North and East. It was against this backdrop that the Late MHM Ashraff undertook a more active political role? Yes. Realising what was occurring the late Mr. MHM Ashraff, in an effort to wean the Muslim youth away from militancy, proposed political dialogue as the only viable non-violent option which would guarantee results for the Muslims in the East in Sri Lanka. Therein lay his basis for the formation of the SLMC –a political entity that would be a voice for all Muslims in Sri Lanka. The non-inclusiveness of the Muslim issue in the 1987 Indo Lanka Accord played a pivotal role as a catalyst for MHM Ashraff to emerge with the SLMC as a recognized Muslim political party. By comparison, it is unfortunate that this party has today eroded into a self-serving entity that has in the last 17 years proven itself to be available to the highest bidder. The pre-2000 era of the SLMC’s political lineage which stood entirely on principle and fostered the best of relationships with the other Tamil political parties and larger national parties of the day has today lost its status of respect, dignity, and trust in being a reliable political ally. It has become a tragic caricature of its former, self mocked not only by its present political peers but most regrettably by the very peoples it professes to serve and stand for. In that context , Why has there been so much fragmentation of the SLMC after Ashraff? There have been many splits in the SLMC and many of those who left the SLMC started their own parties. Most of the non- UNP, non-SLFP Muslim leaders active today were all at one time members of the SLMC and Ashraff’s disciples. Now they are at loggerheads with each other. why is this? The fragmentation of the SLMC is as a direct result of a seizure of power that took place on the 17th of September 2000 and over the course of the following years gradually evolved into a carefully planned process of consolidation of that very same power. The constitution of the SLMC has been doctored on numerous instances in the last 17 years as a preventive measure taken by parties with vested interests to ensure the absolute preservation of the current leadership and the office bearers who are in line with that leadership’s political ambitions. Any form of dissent or difference in opinion has resulted in severe persecution or near instant expulsion from the party. This manner of leadership – if you can call it that – is what has led to a repetitious lack of confidence in the SLMC and has led to the emergence of new Muslim political entities all claiming the mantle of “the true voice of the Muslim people”. Do you think these new parties are genuine in their professed commitment? If the leaders of these new entities were all truly serving a common goal in the genuine interest of the community, then the need to be at loggerheads with one another would be quite minimal. However it appears that given their inability to come together in the last 17 years, despite numerous short lived alliances it’s quite clear that each entity is approaching such political partnerships with vested interests. This never occurred in the pre-2000 SLMC where there was always a series of collective goals which the party machinery worked towards with absolute tenacity and unison under the leadership of MHM Ashraff, assisted further by the members of the High Command and implemented on ground by the members of the politburo and the working committee of the party. But there were differences within the party during Ashraff’s time too? There were always differences of opinion. The difference was that they were welcomed. They would be debated and consequently a consensus (Mashoora) would be carried forward. If arguments reached an impasse, Mr. Ashraff made efforts to resolve the issue in a more non-official environment. Often over a cup of tea or dinner at his residence. It was always the practice of the party under the leadership of Mr. Ashraff to encourage and bring more voices and more opinions within the framework of the party in order to foster a more democratically functioning vehicle and never to create an environment that would be the cause of constant dissent and deceit. Recently a request was filed under the Right to Information act by former SLMC chairman Mr. Basheer Segu Dawood regarding the Justice Weerasekera Commission report on the death of your father and 16 others in a helicopter crash on Sep 16th 2000. The nation was shocked when it was learnt that the report has allegedly gone missing except for 3 pages. This in turn has re-kindled suspicion about the mystery behind Mr. Ashraff’s death. What do you make of all this? I know this is a very painful matter for you and your mother but what is the position of the Ashraff family in this ? 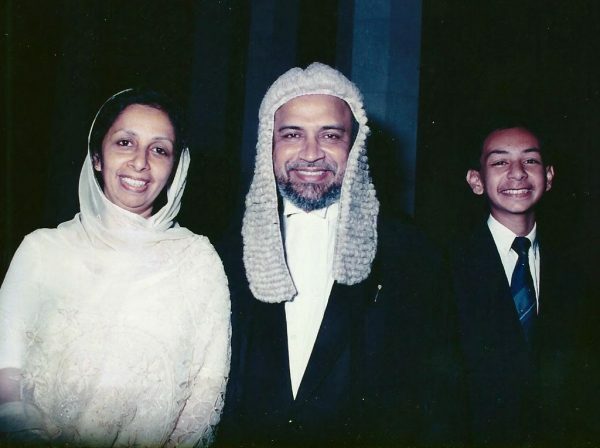 It is ironic that the people (his family) whom one would usually assume are consulted with in matters pertaining to the late MHM Ashraff, his estate and affairs are often the ones who are last to be made aware of developments in relation to him. In this particular instance, our family was not consulted in relation to this matter. Not even a simple gesture of courtesy was extended to us inquiring into whether we would consent to this horrific chapter in our lives being opened up again. Irrespective of whether this now misplaced file is discovered or not, nothing is going to bring my mother’s husband and my father back to us. The loss that my mother and I have borne in silent solitude is known only to us and those who are near and dear to us. My father, as many would testify, was very fond of the children in his family namely his grand nieces and nephews, and as fate would have it he was not blessed with an opportunity to hold his only grandchild in his own arms- an experience I am well aware he would have cherished immensely knowing how much he would have wanted to have been a part of my daughter’s life. This is but one of the many losses my family has endured and yet once again we are being made to relive the numerous questions from peoples from all walks oflife as to whether we have any part to play in this new investigation into the whereabouts of the missing commission file, all of which has been set under way by persons who wish to use the memory and name of MHM Ashraff for their own political mileage and nothing more. There is also a controversial booklet that is being widely distributed. It is in Tamil titled “Darussalam:Maraikkappatta Marmangal”(Darussalam;Hidden Mysteries). It contains several allegations concerning the present management of the SLMC headquarters “Darussalam” which was your late father’s dream project. What is your opinion about that booklet? I don’t wish to comment at length on this particular issue as I am aware of its sensitivity, but I will say this much: It would be wrong to presume or state that most of what is claimed in that publication is entirely false. Let me ask you a few questions about the general situation in the country. The “Good Governance” Govt of President Maithripala Sirisena and Prime Minister Ranil Wickremesinghe has been in power for more than two years. The minority ethnicities particularly the Muslims voted overwhelmingly in support of the President and this Govt. Has the track record of the President and Govt lived up to the expectations of the Muslim voters who helped elect them? This is a question that should be posed to the Muslim people living in Sri Lanka, particularly in the rural districts of Sri Lanka- in the North, East, South and Western provinces rather than someone such as myself. However, speaking entirely for myself and as a citizen of the country who voted for this government, I must confess to be extremely disappointed. What began as a peoples’ revolution where for the very first time in this nation’s history, the people of Sri Lanka said ‘ENOUGH’ and elected to bring about a visible, positive change to Sri Lanka’s governance, we have sadly, in the last two years, seen only what can be best described as a superficial cosmetic change that may well pander to the interests of our international allies and media. Whether this government has truly dug deep into the trenches and made genuine attempts to assess, evaluate and provide acceptable solutions to the long standing issues faced by the Tamil speaking peoples of Sri Lanka is a very serious question that must be asked of this government. It is unfortunate that in the last two years, civil society together with the support of the private sector has had to step in and initiate measures to address a variety of issues faced by Sri Lankans all over the island, in place of the government machinery which owing to unknown factors, does not seem to be working as efficiently, nor with the expected degree of transparency that we as citizens of Sri Lanka would have liked to have seen, given what was promised to us. Has the Govt response been satisfactory or adequate in the case of recent communal violence in Gintota? I am not fully versed with the facts of the Gintota incident and as such I do not feel it is my place to comment on it, especially whether or not the government’s response was adequate or not. However, I do have a question for the government in relation to this matter and it is simply this: Given the assurances of the Yahapalanaya government and the security safeguards which were promised in relation to xenophobia and extremism which is visibly on the rise in Sri Lanka to date, my question is simply, why did the Gintota incident even take place? Could it not have been prevented? Or are the actions of this government henceforth to be forever a case of shutting the stable doors after the horses have bolted? The Govt has taken the initiative in drafting a new Constitution. Among the issues being hotly debated is the proposed merger between the Northern and Eastern Provinces. What is your stance on this?Hypothetically if Mr. MHM Ashraff was with us today ,what would have his position been? My father’s position on this matter has always been very clear. He always maintained that if a separate district and electoral powers within such a district were to be given to the Tamils of Sri Lanka, then under those circumstances it would only be fair for the Muslims of Sri Lanka to also be given a separate electoral district. Whether in the present context of Sri Lanka’s current political progress such a move would be in the greater interests of the nation is questionable given that today the call from the youth of Sri Lanka, at least the youth who I move with and who represent all four religious denominations, is for a united Sri Lanka. The divide between Sinhalese and Tamils and the divide between Sinhalese and Muslims along with the Tamil – Muslim divide demonstrates clearly that there is an urgent need to bring about better understanding,harmony and unity among all ethnicities belonging to this country. What are your thoughts? Education is by far the only feasible long term solution, in my humble opinion, to this crisis. However, even as far as education is concerned, a key factor to the ever expanding divide between these communities is the lack of a common language between them which they could all utilize as an acceptable bridge to better understand one another without having to compromise on nuances that are strengthened by differences in tradition, culture and religion. The bygone era of early 20th century Ceylon produced generations of Sri Lankans (then referred to as Ceylonese) who together irrespective of caste or creed, race or religion went on to achieve great feats for the country in numerous disciplines. English was the language common to all then? Yes. The bridging factor here was evidently the English language and the immensely high standard at which it was propagated, not just within schools in Colombo but also at schools in the rural districts of Sri Lanka. I have been privileged to have met men and women from that Golden Age and having communicated with them, often wondered whether they were educated abroad at Oxford or an institution of similar stature. Imagine my surprise when I discovered that many of them were educated at modest institutions, and I use the term ‘modest’ with the greatest of respect implying only that they were institutions which were nowhere as celebrated as their peers such as Royal College Colombo or Trinity College Kandy. Yet, their command of the language coupled with the mastery of their chosen fields and the distinction with which they carried themselves made me yearn for an education that was somewhere near to what they received. We all know what happened and what changed. Perhaps it is time to seriously start asking ourselves whether we should revisit those standards. Let me return to an earlier question. Have you firmly ruled out the question of entering politics?Do you not feel that you would be able to contribute productively in the national interest by taking a more active role in politics? I don’t think I have ever stated publicly or in the media that I am against politics or that I am never going to enter politics. I have only always stated that I don’t believe I should enter politics purely or the sake of carrying on my father’s legacy or to serve any selfish ambitions of a party that may wish to utilize my credibility (as humble as it may be) for their own political mileage. I have always stated that I have no interest in politics at this present junction and that is a stance I still maintain, for my priorities now are my professional career and the wellbeing of my family. That being said, I will always do everything in my power to serve my country faithfully in any way that I can. I leave the rest in God’s hands, Insha Allah. Understood. But let me ask you more specifically in view of the current situation facing the Muslim Congress. Would you not like to join the SLMC and try in your own way to make the party live up to the vision of your Father? The late Mr. Ashraff is almost a cult figure in Eastern Muslim politics today. An older generation of Muslims continue to revere and hero worship him. A new generation of Muslims has emerged that treats him almost like a mythological figure. 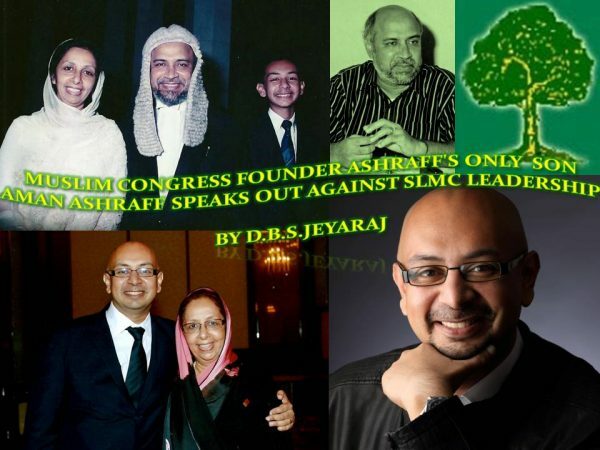 In that sense as Ashraff’s only son would you not like to continue with the late SLMC leader’s political legacy? So I have my father’s blessings should I ever decide to do so. But, with regards to me joining the Muslim Congress and transforming it back to what it once was, let me clarify my point of view. Contrary to what analysts of today may surmise in hindsight, there was a genuine need for a political entity like the SLMC three decades ago, where in the absence of a voice for the people in the East, the SLMC was able to assume the role of being the undisputed political platform for the Eastern Muslims. However, the political landscape in Sri Lanka today has changed and transformed immensely. In today’s digital age, where almost every citizen has the means to voice one’s concerns or aspirations irrespective of his or her socio-economic status, it is my humble opinion that the need for non-pluralistic political entities such as the SLMC now no longer exist. What’s more, its purpose and principles long since perverted post September 16th 2000, I truly believe that the party has gone beyond the point of resurrection, even if my late father were to miraculously come back alive. So what is required then? What is required, is the emergence of a new pluralistic political entity led by individuals who are in sync with the aspirations and concerns of today’s generation whilst being absolutely sensitive to the traditions and cultural beliefs of every religious denomination which makes up the national fabric of Sri Lanka.I am merely reiterating my father’s own views, for many are still unaware, that near to the time of his passing, he recognized that communal based parties would have great limitations in relation to being able to effectively serve and play crucial roles in the nation building process of the country. He realized that what was needed was, as I mentioned beforehand, a pluralistic political party which would voice the aspirations of all Sri Lankans. You are referring to the NUA? Yes. This realization led to my father’s formation of the National Unity Alliance(NUA).Unfortunately, he was unable to effectively present the NUA to the Muslims of the East and the nation as a whole, as his life was cut short tragically. Still,his concept of this party remains to this day a clear reflection of his convictions, which were in keeping with a National Sri Lankan Identity. As far as the Muslim Youth and the myth of MHM Ashraff is concerned, I fear the mythos created about him by the SLMC and others who would exploit his name has reached such heights that to reveal to this new generation the life facts of this simple man would be an exercise in vain. The myths being built around Ashraff do not reflect reality? Could you elaborate please? My father was a man who lived a life of service before self, a man who gave his utmost to foster inter-communal relationships, a man who believed in a liberal free thinking Muslim identity, who advocated one’s right to question and never follow blindly;a man who was passionate about the arts, and who championed culture particularly Sri Lankan-Muslim cultural practices and not the imported variety; to reveal such truths about such an individual would in my mind be met with great disdain. For the Ashraff they have been bred to look unto is a politician who cared solely for Muslims, and no one else, whose views were conservative, bordering on extremism and so on and so forth. These myths are a falsified fabrication of a man’s life and his personality which is as far from the truth as you can imagine. For it was his sensitivity and compassion to other communities, and the great strides he took to build bridges between them that enabled him and empowered him to do more for the Muslims of Sri Lanka. A final question. This is about your mother Mrs.Ferial Ashraff. She has been an MP, Minister,Party leader and High Commissioner. When I spoke with her some months ago, Mrs.Ashraff told me that she was now “retired” and happily content being a grandmother to your child. But in recent times there have been media reports that she is going as an envoy to an Islamic country and that she is a potential mayoral candidate for Colombo etc. What exactly is the position? Is she contemplating a return to active politics? You’re quite right, her priority now and for some time, has been the role of grandmother to my daughter. (Laughs) Rest assured, she is quite happy in that role as is my daughter in having her Waappamma(father’s mother) around. Any speculations to the contrary as reported in the media are completely false.